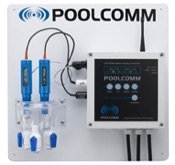 We are proud to feature ProTeam Products, which are simply the best pool and spa care products available. Their color-coded products are also simple to use. From algaecides and balancers to biguanides and chlorine, ProTeam products simplify your life and make the challenge of maintaining a pool or spa much easier than ever before.